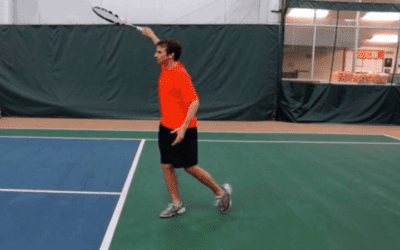 Are you struggling with your rhythm on your serve? 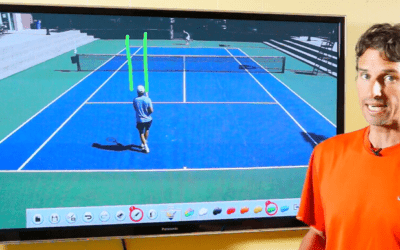 This is actually one of the most common problems tennis players have. Many of them—and even coaches, think that it’s a good idea to move the arms up together at the beginning of the motion. WRONG! If players do this, they will disrupt the flow and momentum of their serves. And if you are guilty of this, Its a good idea to not follow this old school serving myth. How do you solve this serve rhythm problem? Make your tossing hand lead the beginning movement of the serve. 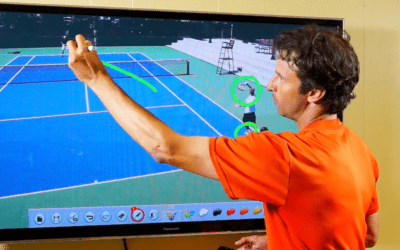 In other words, the tossing hand has to move ahead of the serving hand and arm. Don’t have both hands move up together. Got any questions, comments, and/or suggestions? Leave a comment down below, and I’ll be sure to get back to you with an answer. We’d love to hear from you! TENNIS SERVE | Don’t Make This Slice Serve Mistake (NO POWER)! Many thanks for sharing your experience! It’s really appreciated! As I understand your point, when you are going to the trophy position, there would not be a frozen moment where the tossing arm is up, and the hitting arm is back and loaded. Instead, the motion of the hitting arm would slightly lag the motion of the tossing arm, for more of a continuous motion, rather than an overall pause at the trophy position. I tried couple of shadow serves this way, and will give it a try on the court. Cliff, yes, you are correct! Keep it moving! 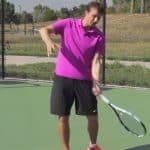 Your point is well taken: when I look at slo-mo motions of pro serves, most of them lead with the tossing arm and the racket arm catches up. But how does that square with the your advice of “all good serves start with the trophy pose”. To get to the trophy pose, you basically have to have the arms moving (and stopping!?) together. Hi Bruce, Good question. I don’t believe in the pause at the trophy. I like the motion to be continuous. Thank you, Seth! Much appreciated. Hi Pete, Thank you very much for your kind words. I hope we cross paths again. I am a lefty and we flip the videos. Great video and advice is powerful but Hey, that’s a smallish detail. Look at Wawrinka, classical downt-together-up-together example, yet he is in all time fastest server’s list while Jeff is not. Too extreme an example, ok, look at Tomic’s serve. Boottom line, while possibly important, this is not one of those things which are absolutely necessary to serve well, other things are. Ron, Thank you for your comment. I believe this is a big deal for rec players. Thank you for this advice and I am sure it can help many players. between left arm ( right handed player) and right elbow ! He didn’t say trophy position however loading. Hence distance = loading ! As you can imagine the fluidity of the service action was guaranteed! in my movement and went to a ‘ Federerist ‘ approach by keeping the tip of my racket up to ensure alignment. There, I bored you and most people reading this! Just a contribution! Andreas, What a great comment. Thank you for sharing. The distance between the arms and hands is crucial.